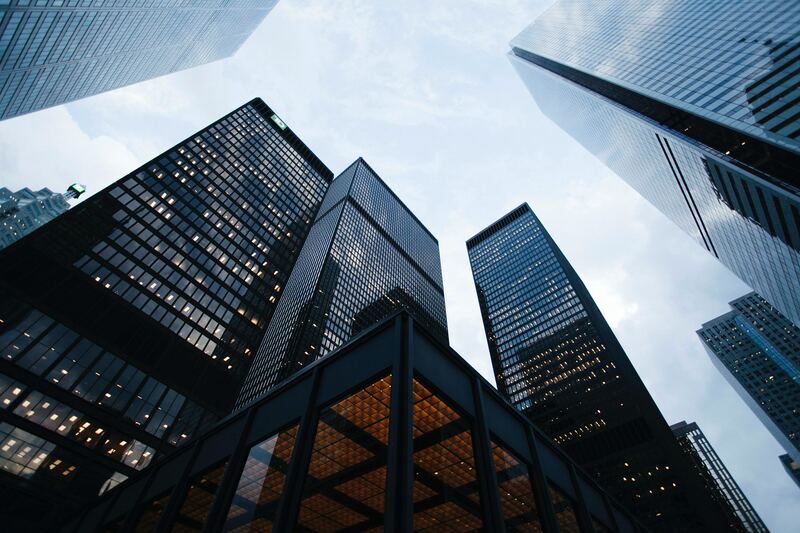 PwC, one of the world’s ‘big four’ professional services firms, has been quick to recognise the profound changes sweeping through its markets. From digital technologies to new audit competition, these trends are not just reshaping the competitive landscape. They are changing the very world of work. 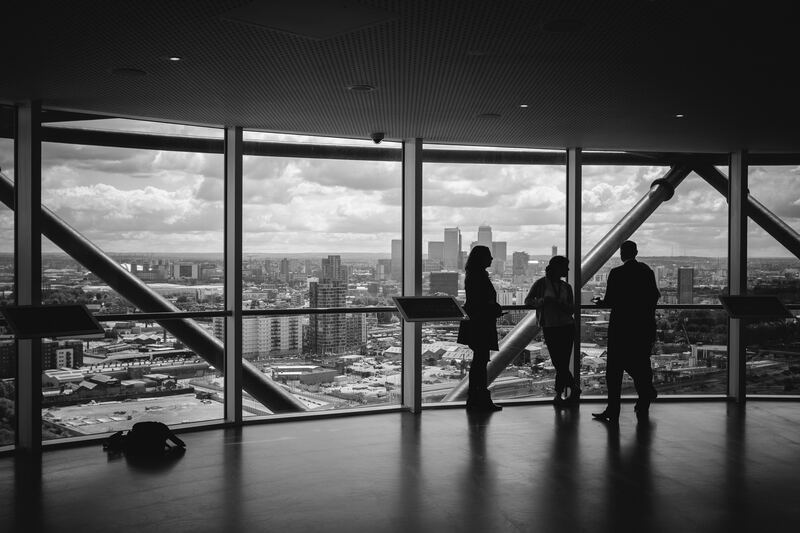 If PwC partners, both longstanding and new, were to continue to be seen as business leaders they would need to develop new skills and insights that clients could rely on. ‘The need to stay relevant has never been greater,’ says Jeni Taylor, Head of Business Performance and Leadership at PwC UK. PwC UK had traditionally approached leading business schools for help but wanted to take a fresh approach. The firm wanted access to respected experts who could reaffirm, enrich or challenge existing views, but also something focused, relevant and practical that could be of immediate use. PwC’s first challenge was to find a learning provider with an unrivalled understanding of today’s news and trends, and that could analyse the potential impact on its clients’ business. Its second challenge was to work collaboratively with the learning provider from initial design through to execution. PwC’s own innovative and dynamic approach to learning meant that programmes needed to be tested and refined as and when needed to ensure that they met the exacting standards of its partners. The third challenge was to persuade these extremely busy PwC partners to schedule time to participate in such a learning event. It therefore had to be purpose-built, tightly focused and sufficiently high level. The conventional briefing lecture would not work. PwC wanted a genuine two-way conversation with the acknowledged experts. Financial Times | IE Business School Corporate Learning Alliance offered both the co-design flexibility and access to the right expertise that PwC was seeking. Since the start of 2016, FT | IE Corporate Learning Alliance has worked closely with PwC to create exactly the right format. Following design meetings, interviews with PwC stakeholders and a pilot workshop, a revised programme was launched. The first two-hour workshop explored how companies could best respond to Brexit—a subject on every client’s mind, but with few obvious answers. The session began with an intense, one-hour FT-led panel discussion. The second hour consisted of parallel table workshops, each comprising 5-7 partners, facilitated by FT journalists. These allowed partners to discuss their own business perspectives on Brexit and learn from experiences of colleagues in other departments—most of whom had not met before—another design goal. Key insights from the table discussions were then summarised and shared with the full group. The refined format worked extremely well. As a result, PwC’s partners were keen to propose three new topics for subsequent sessions. Discussion on global trade, the new Trump Presidency and artificial intelligence proved equally successful, and a new series was agreed for 2018. 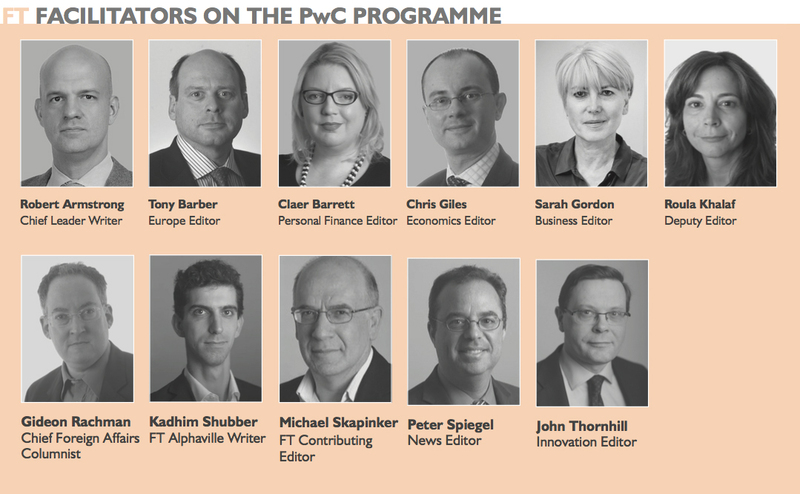 Perhaps the most important factor in the programme’s success was the seniority and calibre of the selected FT experts. PwC partners particularly valued the journalists’ insider view, and their insights gleaned from conversations ‘with politicians, bureaucrats and business people outside [my] own network,’ said one.